Love this photo. The shapes the water makes obscures the frog! 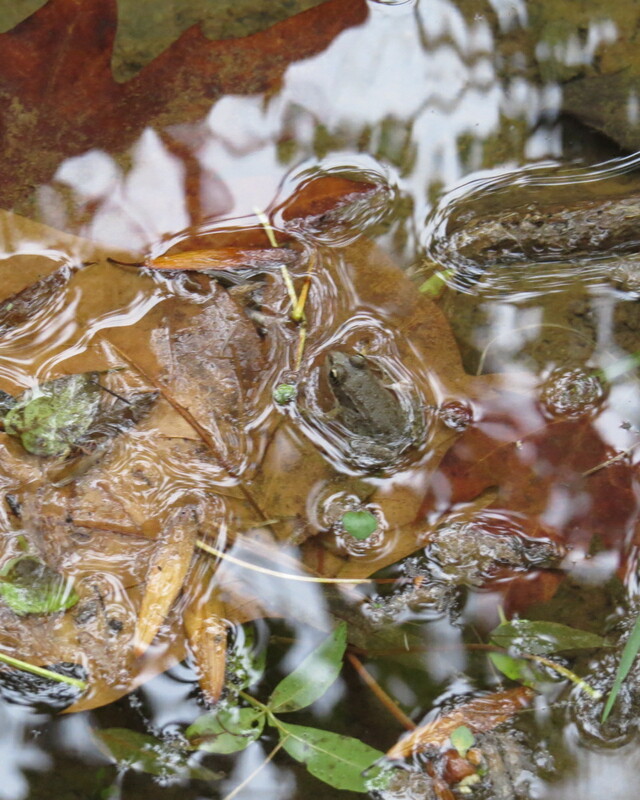 Thank you!There was a family of small frogs totally camoflaged by the leaves and rippling water…it was lovely.